Wherever you look you cannot fail to see articles and ads claiming the wonders of various pieces of technology to help you increase academic efficiency and deliver curriculum to students. In fact, some administrators seem to believe if you just throw an iPad or LapTop at a student they will miraculously teach themselves all they need to know! It’s the careful and measured use of tech together with good old fashioned teaching that will always help our students most and I hope that cooler heads prevail and the public school system realizes that sooner rather than later. However, if you manage a business that provides tutoring, instruction or AfterSchool services good technology can manage the back and front office freeing you up to provide that all important personal interaction. 1. Automate you instructor student matching. Based on criteria such as qualifications, grades, availability and distance a good management system will present you with the best instructor for any given scenario. No more lost efficiency from cross checking spread sheets and making calls to see if someone is available. 2. Invite instructors to claim new jobs. If the instructor student matching presents several candidates to take a session a management system should email instructors that meet the criteria and allow them to claim the new job. A round up of unclaimed jobs should be presented at the end of the day. 3. Limitless staff log ins. To save time and fax paper, instructors should be closing out their sessions and making notes directly into the management system. This gets expensive if you have software that charges you per user. 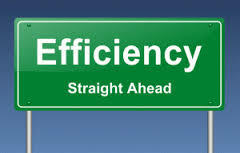 In our recovering economy all businesses need to be flexible with invoicing. Perhaps you give a discounted rate for a second or third student from the same family or want to invoice before services or after depending on your requirements. Invoice and payroll rates should be flexible to meet all scenarios including base rates that can be adjusted for instructor student combinations or paying the instructor a percentage of the invoice for any given session. What if the parent pays a percentage and an agency or scholarship pays the remaining portion, this should be automated not an accounting nightmare! Building a relationship with your customers is part of any good business strategy but the day to day communications of billing and payments can be automated to save time with back office tasks. To increase efficiency customers should be able to log in and view and print their invoices, make payments, view and print learning and goal plans and see the instructor’s notes and progress reports and request new services. In fact, they should have access to any paperwork they may need to provide you as part of the registration process such as allergy forms or waivers. 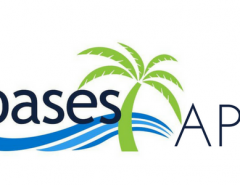 A system such as Oases Online has all of the above functionality and much more and everything is laid out on their new updated website. Check it out at Oases Online or look at the features and watch videos.